When it comes to choosing games for our family-friendly Wii, it's difficult to find ones that fit the small-fry age group. And by small fry, I mean preschool age. Even the most kid-friendly games often require players to be able to read or to master the Wii remote, which sports beaucoup de buttons. 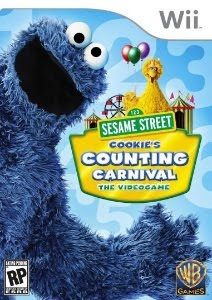 That's why I was so eager to try out the new games from Sesame Street and Warner Bros. Interactive Entertainment -- "Sesame Street: Cookie's Counting Carnival" and "Sesame Street: Elmo's A-to-Zoo Adventure" -- which are available for the Wii ($39.99) and the Nintendo DS and PC ($29.99). Both games are specifically made for early childhood players (ages 3+) and even feature a clever and adorable Wii remote cover (Cookie Monster, right; or Elmo, depending on the game) that sports little grip nubs and covers unnecessary buttons. Perfect for little fingers! When I received a review copy of "Sesame Street: Cookie's Counting Carnival" for the Wii after visiting the Warner Bros. lot in Burbank with other moms of small fries, I was eager to put it to the ultimate test -- my 3-year-old child. What would CC think? Would the game appeal to her? Would the remote be more distracting than useful? Was this actually a big-kid's game in a fuzzy blue disguise? The game, which focuses on early math skills such as counting, shape recognition and number identification, is fun and easy to grasp. 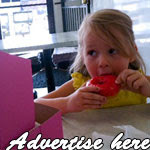 Characters like Big Bird and Cookie Monster offer simple instructions that are equally simple to follow, such as asking the child to pick the appropriate color ring for the ring toss. Added bonuses: The game difficulty adjusts to each child's level, and parents can assist with the second Wii remote, if needed. The motions required for the remote, by the way, were easily mastered by CC, who didn't seem at all distracted by the Cookie cover. * It would be great to include actual visual numerals when asking the children to count out items. Not all games on "Cookie's Counting Carnival" offered this, which I think would have been a great opportunity for kids to see the numbers they were saying out loud. * As much as I love the adorable remote covers, an opening around the sensor would have been ideal. Once Cookie's on the remote, there's no chance of making adjustments on the menu. Those are minor issues, actually, to what CC and I give two thumbs' up. If you're interested in purchasing one of the games, L.A. Story readers can receive 10% off by entering the promo code MOMMY at the www.sesamestreet.org/videogames checkout. In the meantime, happy gaming! One of the awesome things about Blogger Prom this year and last was the opportunity to check out new, tasty treats. From yummy tacos to locally brewed micro beer to minty-fresh bottled water, there were so many delicious items on the bloggerific menu. So when Metromint water, which offered complimentary H2O at the festivities, asked if I'd like to review their latest flavor, goodberrymint, I said I would -- that is, I would hold a taste test with CC to choose between my favorite Metromint flavor (chocolatemint) and goodberry. If you haven't tried Metromint water, it's a combination of purified water with a twist of 100% real mint. The mint, grown pesticide-free in Washington State's Yakima Valley, actually creates the sensation of cooler water. It also freshens breath and can soothe your stomach, as added bonuses. Best of all, no sugar or sweeteners. So, enter the taste test. After a Thanksgiving bounty, I poured a sample of chocolatemint and goodberrymint into two plastic kiddie cups and asked CC to try them both. I did the same thing myself. After sipping on each, I still chose chocolatemint, while CC picked goodberry. A 50-50 split. Not bad. One advantage for goodberrymint? The San Francisco-based Metromint has instituted "Project Goodberry," in which it donates 10% of profits from the sale of goodberrymint to fund local organizations, including the San Francisco Food Bank. 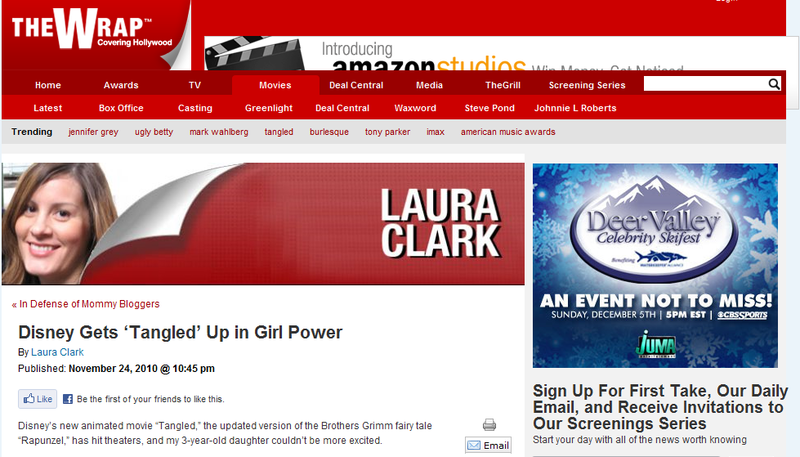 Please check out my latest Hollyblog on TheWrap.com: "Disney Gets 'Tangled' Up in Girl Power." 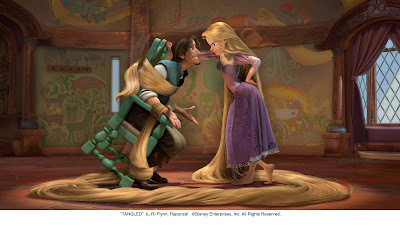 CC has been so excited to see Disney's latest (and 50th) animated movie, "Tangled," an updated version of the fairytale "Rapunzel," and I'm happy that this new version sports a femme lead that's self-sufficient and resourceful -- rather than the usual damsel in distress. Check it out, and please let me know what you think. And, as always, feel free to leave a comment on the post. There are already a few interesting ones, which point out that, ironically, Disney has been working hard to market "Tangled" to little boys. Hope you and your family have an amazing Thanksgiving today! While we're staying local -- just being part of the traffic headed down to LAX yesterday gave me something to be thankful for -- I hope your travels are safe and stress-free. 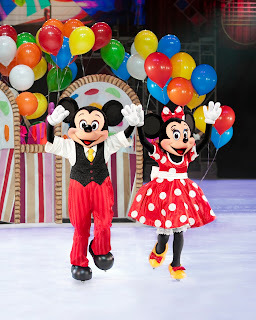 The Disney crew will be skating into Staples Center and other SoCal locations this winter for their latest production, from Feld Entertainment, Disney on Ice presents "Let's Celebrate!" 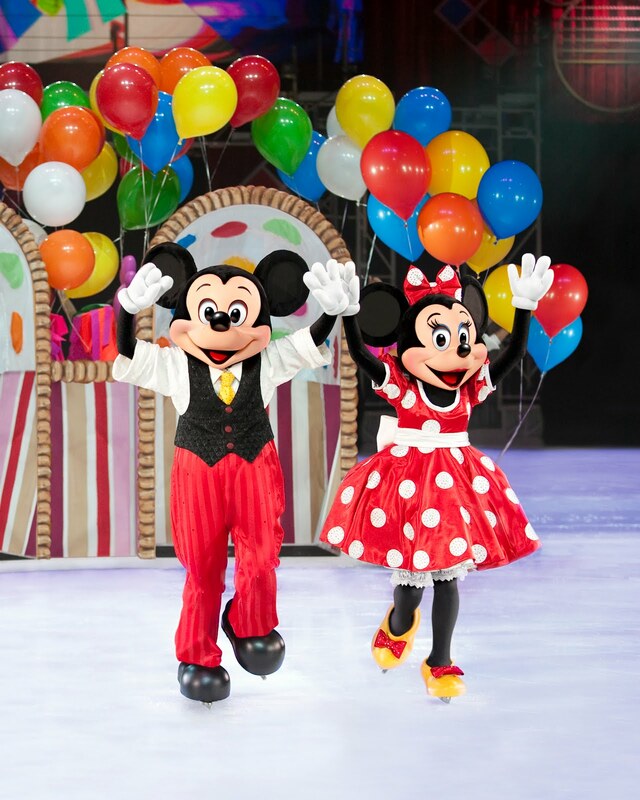 Mickey and Minnie, of course, will be lacing up their skates, alongside the Disney princesses, Woody and Buzz Lightyear from "Toy Story" and even Alice in Wonderland. They'll be celebrating all sorts of occasions, including a Very Merry Unbirthday Party with Alice and the Mad Hatter, a Royal Valentine's Day Ball with Cinderella and a Hawaiian Luau with Lilo and Stitch. Staples Center at L.A. Live will play host to the festivities Dec. 15-19. After that, the show will head down to the Honda Center in Orange County Dec. 21-26 and the Citizens Business Bank Arena in the Inland Empire Dec. 29-Jan. 2 before venturing down to the Long Beach Arena Jan. 5-9. Tickets ($16-$65) are on sale now, with some Opening Night tickets available for $12 each (excluding premium seating). 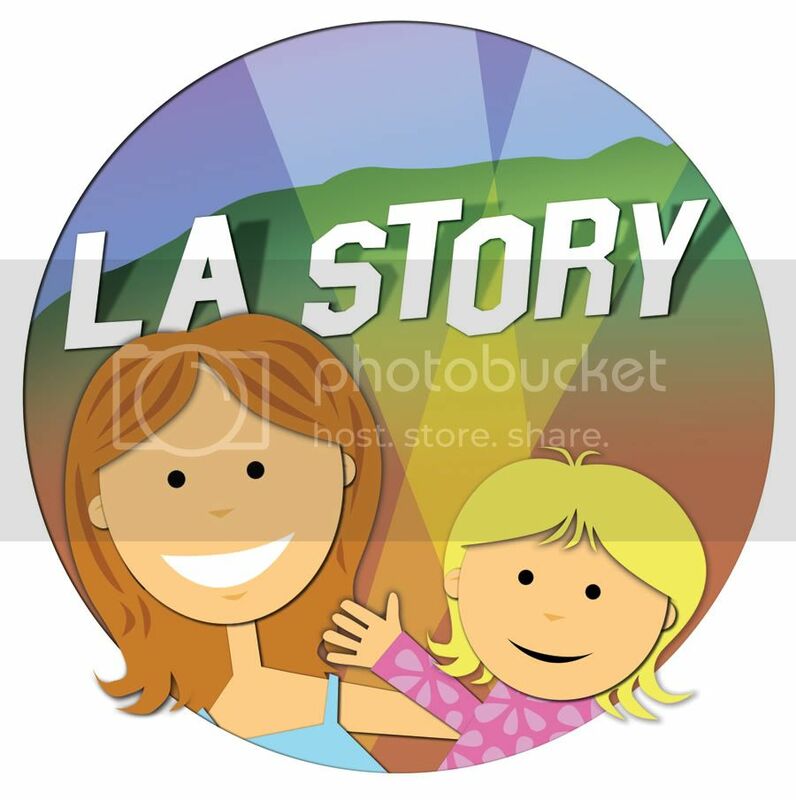 As a special bonus, between Nov. 26-Dec. 15, L.A. Story readers can use the code MOM to buy a family four-pack of tickets for $48 at select performances, or receive $4 off single tickets. Tickets can be purchased at Ticketmaster.com or by calling 800-745-3000. * Wednesday, Dec. 15 -- 7:30 p.m.
* Thursday, Dec. 16 -- 7:30 p.m.
* Friday, Dec. 17 -- 11 a.m.; 7:30 p.m.
* Saturday, Dec. 18 -- 11:30 a.m.; 3:30 p.m.; 7:30 p.m.
* Sunday, Dec. 19 -- 11:30 a.m.; 3:30 p.m.; 7:30 p.m. If you've missed the blonde-locked billboards around Los Angeles, you might not know that Disney's latest animated film, "Tangled," is hitting movie theaters tomorrow, Nov. 24. 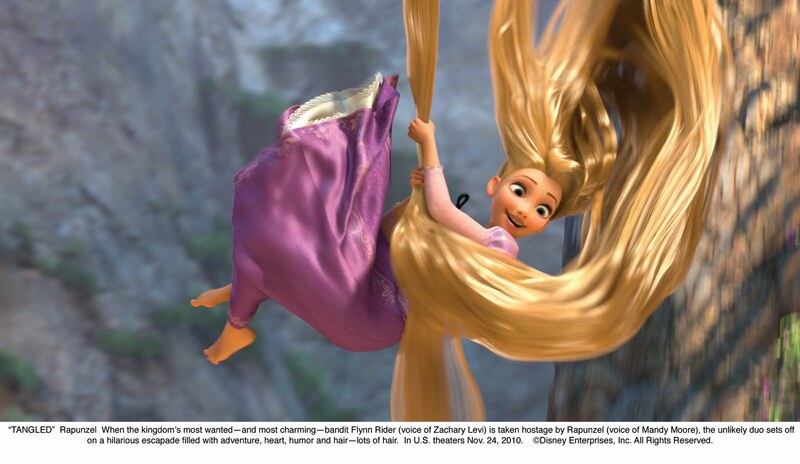 An updated twist on the Brothers Grimm fairytale "Rapunzel," "Tangled" is the story of a sassy girl (voiced by Mandy Moore) who isn't about to be swept up so easily by the usual handsome (or is it charming?) prince. In fact, when swashbuckling rogue Flynn (Zachary Levi) moves in on her lonely tower, Rapunzel ties him up with her famous hair and demands some serious deets. Then it's off they go on all sorts of action-packed adventures. And, hey, if he's also charming and handsome, that doesn't hurt, either. CC has been wanting to see this movie ever since she saw the trailer at "Secretariat." She also points out every billboard she sees around the city. I'm just happy the story centers on an enterprising young girl -- something little girls like my own could use more of in a modern animated movie. As a special bonus, the El Capitan Theatre in Hollywood is offering a "Tiny Tot Tuesday" screening on Nov. 30 at 10 a.m. Lights will be only slightly dimmed, and the sound level will be reduced to accommodate the youngest of viewers. To purchase, visit the El Capitan box office, call 800-DISNEY-6 or go online at www.elcapitantickets.com. UPDATE: Congrats to Ruth, who won the 4-pack of tickets to the LA Auto Show! Thanks to all who participated! CC tried her best to hop into the driver's seat of big cars, small cars, super-small cars, electric cars and even a Bat car this weekend at the LA Auto Show, parked through Nov. 28 at the Los Angeles Convention Center. Aside from the Bat car, pictured in the photo gallery above, she basically managed everything else. It didn't matter that she has a few years yet before she scores her official California driver's license (unlike the Legoland version she mistakes for the real thing), she was happy to let grown-ups of all ages wait their turns while she nabbed her chance behind the wheel. Aside from my wish-list cars (Hello, Volvo XC90, right, and Volvo XC60! ), we also got up close and personal with the adorable two-seater Smart car, the super-wee Tango Commuter Car (also pictured in the above gallery) that is literally one-person wide, a truck with an electric grill in the back, an electric concept car from Saab and a $250,000 sports car from Audi that I told CC not to touch -- which she then, of course, touched. The one car she actually got to drive was a mini Dodge police car (pictured in the above gallery), which sported flashing lights and doors that opened and closed. One of the many tyke-friendly attractions at the Nissan Quest Kids' Fun Zone, the tough-stuff car allowed CC to really put the pedal to the metal. All of the fun without the speeding tickets! I'm giving away a 4 pack of tickets to the LA Auto Show, running Nov. 19-28. Just leave a comment below, with your email address, telling me what you'd like to check out at the event. Just be sure to leave extra comments telling me you did so. Good luck! This will be a quick giveaway, so I'll announce the winner tomorrow, Nov. 23 at 7 p.m.! Just after I caught a screening of AFI FEST 2010 documentary entry "Circus Kids," I had the amazing opportunity to relax with a short, complimentary facial from one of the festival sponsors, Clarisonic, at the Roosevelt Hotel on Hollywood Boulevard. The facial, of course, was lovely, and while I was fascinated by their stylish and compact facial cleaning system -- a one-touch, cordless rotating brush (pictured above) that comes in various sizes and ranges in price from $149-$225 -- what caught my attention even more was the company's partnership with Look Good ... Feel Better, an organization devoted to helping women with cancer boost their self-esteem by providing complimentary beauty sessions. In fact, during the festival, Geralyn Lucas (cancer survivor and author of "Why I Wore Lipstick to My Mastectomy") spoke about the role "looking good" plays when experiencing one of the most challenging moments in life. I've written here a little bit and more on a Los Angeles Moms Blog post about my mother's experience with cancer. She has survived both breast and ovarian cancer, and I'm so proud of her. But I remember her telling me that after one particularly grueling day at the hospital to combat The Big C, her doctor told her to go ahead and put on her makeup, that it would make her feel better. And, she said it did. I can understand that. Who wants to look as terrible as they feel? So I want to support Clarisonic's efforts and partnership with Look Good ... Feel Better by mentioning here that what they're doing is worth celebrating. For every limited edition Clarisonic Hope Mia purchased, Clarisonic will donate $15 to Look Good ... Feel Better. They will also donate $5 for every Pink Skin Cleaning System purchased and $4 for every Pink Mia purchased. And I have to admit, the Mia is pretty cool. After the facial, Clarisonic generously gave me one to try out. I've been using it twice a day -- a quick minute each session -- and I'm definitely a fan. 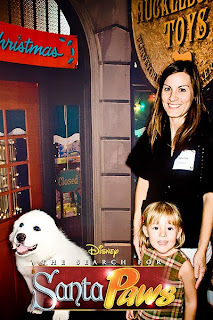 Please check out my latest CBSLosAngeles.com post, "Best Picks for Families This Weekend: Nov. 19-21." In addition to the annual tree lighting at The Grove, there's plenty of family-friendly fun around the city, including a cupcake extravaganza and kiddie concerts. 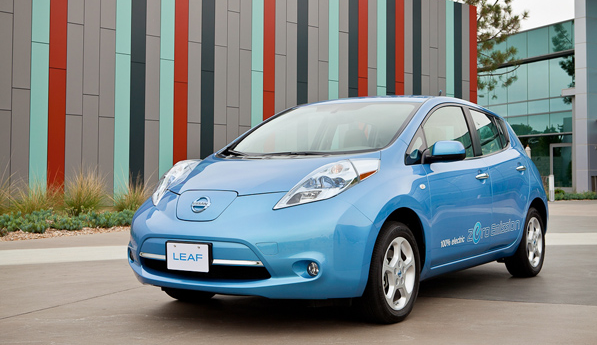 The Nissan Leaf will be one of several electric, hybrid or alternative-fuel vehicles on display at the LA Auto Show. UPDATE: Congrats to GurlinLA, who won the 4-pack of tickets to the LA Auto Show! Thanks to all who participated, and stay tuned for another LA Auto Show giveaway. The LA Auto Show will be motoring into the city tomorrow, parking tons of cars at the Los Angeles Convention Center downtown through Nov. 28, and this mom is super-excited about checking out the latest electric and hybrid automobiles that could make trips to the gas station a little less frequent. Maybe I'm a sucker for that new car smell, but I have to admit, I really like the idea of getting into the driver's seat of sleek and technologically cool cars -- even if it's just for a few minutes. Or maybe it's just because my own vehicle is about to hit nine years old -- getting up there in car years. In addition to checking out fun concept cars that look more suited to a Mars roving session than navigating the 405, moms and dads can make the day fun for the kiddos as well. This will be a quick giveaway, so I'll announce the winner tomorrow, Nov. 19 at 3 p.m.! The Los Angeles International Children's Film Festival kicked off this past weekend in Santa Monica, and CC and I nabbed front-row seats. Well, actually, I opted for one of the back rows because, when you have a 3-year-old, you never know when you might need to make a quick exit. Sampling a selection of sometimes funny, sometimes silly short films from around the world, CC served as an ever-curious participant in the film-watching process. She asked questions throughout the hour-long first program of three, wondering aloud why characters were doing what they were doing ("Are the cat and dog flying on an umbrella, Mommy?" Why, yes, they are, Sweetheart). Among her favorites was an animated short from Brazil called "Chubbie & Cheesy -- A Very Special Umbrella," directed by Frederico Pinto. Although all the characters spoke in Portuguese, CC still loved watching the little dog and homeless cat fly to a far-away farm in search of, what else, better food. But her favorite of the roughly 10 shorts was a claymation film from Canada called "The Little Things," (pictured right) directed by Kayla Cooper, who also was in the audience. 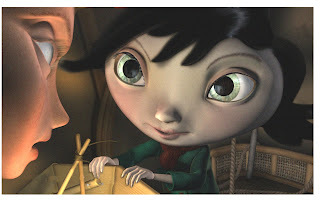 Telling the story of a little girl who didn't want to share, "The Little Things" really appealed to CC and her sense of right and wrong. When the little girl refuses to offer her ice cream to other kids who are hungry, CC immediately said, "That's not nice." I was actually a little surprised that the message of sharing would resonate so much with her. Maybe I have her preschool teachers to thank for that. Or maybe I should be taking her to more film festivals. After all, this is L.A. The film festival will continue Dec. 18-19 and Jan. 29. 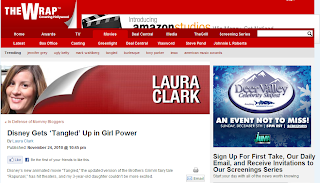 Check the Los Angeles International Children's Film Festival website for more details. Yes, that dog in the above picture is real. Something I didn't realize when CC and I walked up to the photographer to have our picture taken at the Disney Interactive Studios holiday event at The Victorian last week. The 10-week-old bundle of perfect white fur, aka "Santa Paws," was just one of the many family-friendly highlights at the winter wonderland-themed party that had CC (over)frosting cookies (much to the amusement of onlookers), painting pictures and checking out various kid-centric games like "Disney Tangled" ($39.99) and "Club Penguin Game Day!" ($49.99) for the Wii. 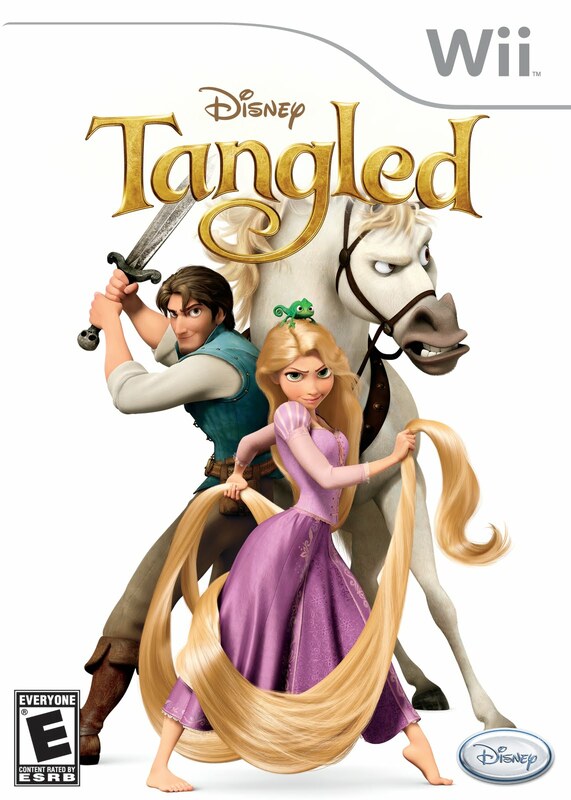 While there were lots of goodies for tots to taste and ogle, CC made a beeline for "Tangled." Catching glimpses of the blonde-locked billboards all over Los Angeles, CC reminds me every chance she gets that she wants to see that movie. Lucky for her she got a taste of the action via the Wii game, which features Rapunzel and fellow adventurer Flynn in a story-based journey filled with puzzles, challenges and hidden treasures. After dragging my child away from fun games and tasty cookies (Seriously, where did she get such a sweet tooth? It couldn't possibly be from her donut-obsessed mother), I took a moment just to stop and look around the gorgeous Santa Monica event space that is The Victorian. The last time I was there, just over five years ago, I was entertaining wedding guests and wondering what life would be like after getting married. 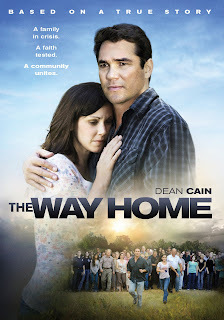 UPDATE: Congrats to kmamalorenz, who won the DVD of "The Way Home"! I was really touched by her story of giving gift certificates to others even though money was tight. That's so inspiring! Thanks again to everyone who participated! "The Way Home" was, admittedly, a difficult DVD to approach. Not because it had sensational scenes that exploited viewers' fears. It didn't. 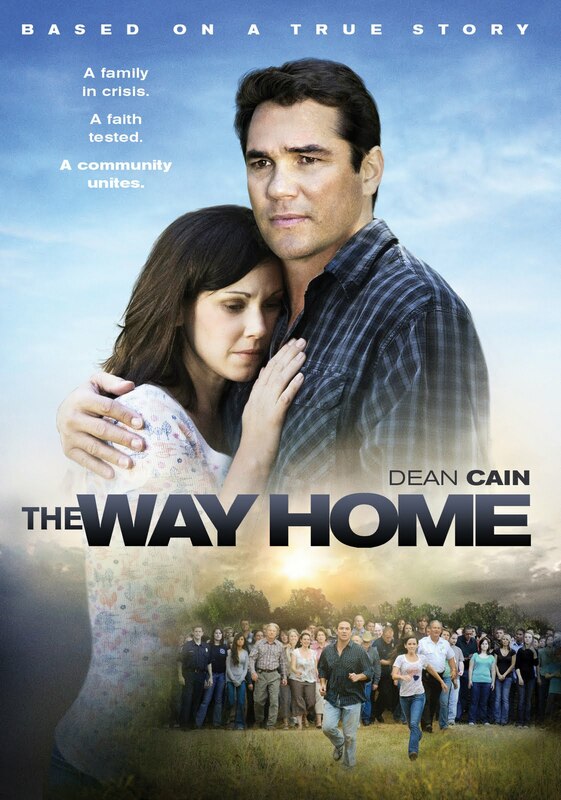 The movie, starring Dean Cain ("Lois & Clark: The New Adventures of Superman") and Lori Beth Edgeman ("Army Wives"), is a touching true story about a husband and wife in a strained marriage who experience every parent's nightmare -- a missing child. Packing up the car for a family vacation, Christal Simpkins (played by Edgeman) is frustrated because she seems to be doing everything herself while her husband, Randy (Cain), is focused mostly on work. He comes home later than expected from the office, and when he does arrive, he's still distracted by emails. It's when Christal asks Randy to watch their 2-year-old son Joe for a few minutes -- and he chooses to check email while Joe is playing outside -- that things go wrong. Suddenly, Joe is nowhere to be found. The description of this faith-based movie from Red Five Entertainment and Lionsgate, and directed by Lance W. Dreesen, focuses mainly on Randy's workaholic mentality, which is partially to blame for his son going missing. But the film's strength is its choice to not dwell on this aspect and instead place most of the attention on how the family draws patience, hope and fortitude from a caring community of people who really step up in a neighbor's time of need. I'm giving away 1 copy of "The Way Home." Just leave a comment below, telling me how you've helped a member of your community in a time of need. Good luck, and I'll announce the winner Monday, Nov. 29! UPDATE: Congrats to winners David and meeyeehere, who won the TOMICA Fire Liner and the TOMICA Pizza Shop, respectively. I was really touched by David's story about his son talking trains even in his sleep. The pizza shop decision was a little more difficult -- kind of like choosing between cheese, pepperoni and supreme, so tough! -- so I resorted to Random.org. Thanks again to everyone who participated! Winners, please email me at losangelesstory@gmail.com with your address, and I'll send them right away. Congrats again! Last month, CC had the chance to rev up her little "train-iac" side when we visited Bender/Helper Impact Family Fun Day. She couldn't resist the TOMICA car and train set from TOMY Toys that offered a transportation-minded "Hypercity" at her little fingertips. Forget princesses and fairies -- two of CC's favorite things in the world right now. She was all over the miniature die-cast locomotives and automobiles that zoomed around kid-sized gas stations and pizza shops. And when we got home, she spent so much time playing with her TOMICA Patrol Liner train (a gift from B/HI) that I wondered if she'd given up on Cinderella altogether. Not so much, but it was still fun to see her play with something that helped develop fine motor skills (no pun intended). What I liked most, though, was the imaginative way she played with the train. She pushed and pulled it all over the floor, sometimes placing mini stuffed animals in the cargo space for a jaunty ride from her bedroom to the kitchen. Other times, she just liked opening and closing the doors -- sometimes pulling them off, actually, which wasn't that difficult. She instantly made this new addition a part of her creative and fantastical world, and, of course, I'm definitely on board for that. I'm giving away 1 TOMICA Pizza Shop (pictured above), complete with 1 die-cast Toyota Pro-Box car and 1 Tomikids figure. The car actually launches off of its space at the touch of a button, and the shop has fun sliding doors (SRP $12.99; ages 4+). 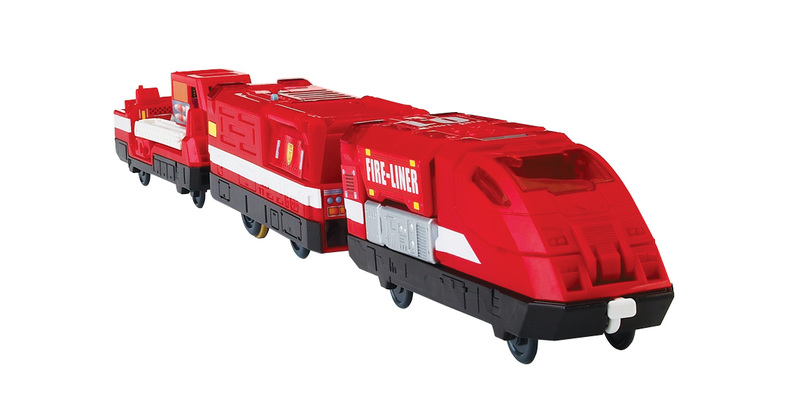 1 TOMICA Fire Liner (pictured left), which comes with 1 Tomikids figure and can transform into a vehicle with a moving platform (SRP $12.99; ages 4+). To enter, leave a comment telling me which TOMICA toy you would like and why. Good luck, and I'll announce the 2 winners Monday, Nov. 29! To generate buzz about the upcoming film "The Chronicles of Narnia: The Voyage of the Dawn Treader," opening Dec. 10, the Beverly Center will be hosting an elaborate Ice Palace, courtesy of Twentieth Century Fox and Taubman Centers, from Nov. 12-Dec. 24. The free exhibit, which will be held simultaneously at 16 different locations across the country, will feature a 30-foot ice palace, where visitors can walk through and watch footage from "Dawn Treader," see life-like figures portraying scenes from the movie, and experience falling snow and a light show. 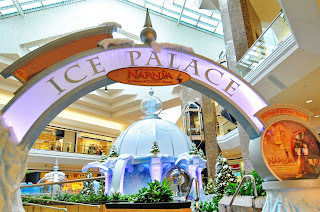 And today, at 4 p.m., "Narnia" actors Georgie Henley (Lucy Pevensie) and Will Poulter (Eustace Clarence Scrubb) will be on hand at the Beverly Center to greet visitors. The Los Angeles Children's Chorus will make their debut in Azusa Pacific University's "Artist Concert Series" on Nov. 15 at Munson Recital Hall on the university's Azusa campus. The program, which features highlights from the choir's 25-year history, will include "Chantez a Dieu" (Eleanor Daley), "Come Ye Makers of Song" (Ruth Watson Henderson) and Estonian piece "Vaid See on Armastus." Featuring children ages 6-18 from all over Los Angeles, the chorus members will be answering questions from the audience after the performance alongside LACC Artistic Director Anne Tomlinson, who will also be conducting the concert. Short film "Moongirl" will screen at the Los Angeles International Children's Film Festival. With so many high-profile film festivals gaining headlines around the world, it's important that kids -- particularly Hollywood-adjacent kids -- have a festival they can call their own. Hello, shorter-length movies about people their age! Goodbye, heavy dramas that last for hours! That's where the Los Angeles International Children's Film Festival comes in. Kicking off Saturday, Nov. 13 from 10 a.m.-1 p.m., the sixth annual children's film festival will run three separate weekends, with additional screenings to be held on Dec. 18-19 and Jan. 29. This free event will screen films at the Martin Luther King Jr. Auditorium in Santa Monica, and festival organizers have already labeled short film sections according to age groups (i.e., all ages, 7 and older, 10 and older, etc.). And unlike regular (read: grown-up) film festivals, the L.A. International Children's Film Festival is much, much more manageable for the whole family -- school days are out, and all screenings should finish before dinner. Definitely works for this working mom. 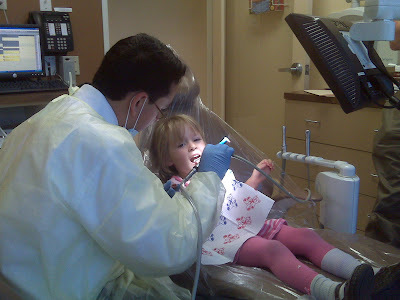 OK, OK, so we were a little late, but CC's first visit to the dentist was a huge success. And when I read this article on the Los Angeles Times website, "Dentists? They're strangers to 1 in 4 California kids," I got worried -- and then became totally embarrassed. After all, who wants to be a statistic? Much less, a bad one. So I set up an appointment with Dr. Nik (aka Dr. David Nikfarjam), who is part of the Beverly Hills Pediatric Dental Group. Not only is he a gentle soul, but he also engaged CC with lots of questions and explained to her every part of the process before he started. And she loved his bubble-gum-scented gloves, not to mention her personal movie screen, which was playing "Cars," a CC fave. After a thorough check-up and cleaning, Dr. Nik explained that CC should brush twice a day, each time for two minutes. He even gave her a little timer to help out with that. He also added that flossing is a nightly must, even for 3-year-old teeth. Colorful, disposable flossers became CC's new favorite thing, and now she's a flossing pro. It was a great visit, and CC showed no fear -- something I was concerned about. She even picked up a toy on the way out for being so brave. So maybe as parents we didn't get a toy, but honestly, I was just happy Dr. Nik didn't visibly cringe when we told him it was CC's first visit. And, yes, we'll be seeing him again in six months. 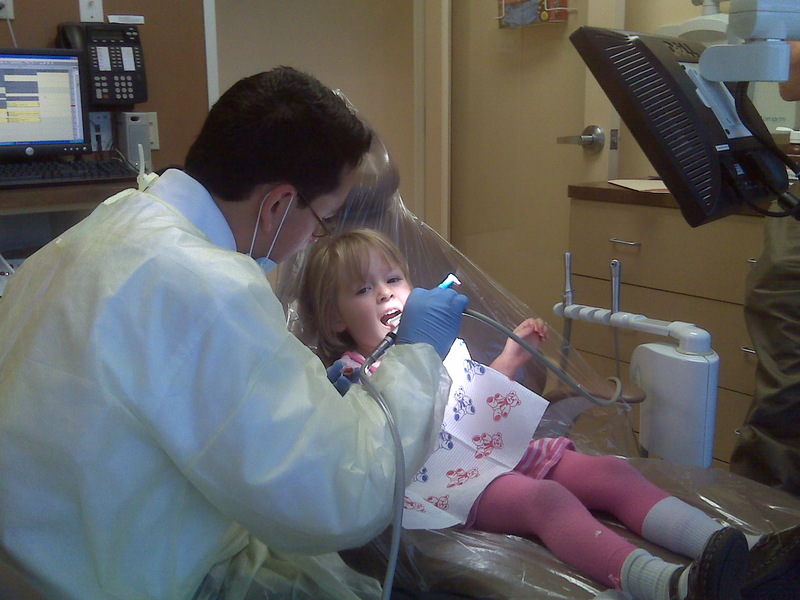 For a list of Frequently Asked Questions about children's dentistry, click here. As a parent, I come to some movies with a completely different perspective from when I was, say, a teenager or a single twentysomething. Some films, particularly those that involve children or parents faced with life-altering choices, touch me on such a visceral level because I know what it's like to be responsible for a tiny human being. "Precious Life," directed by Israeli journalist/filmmaker Shlomi Eldar is one of those films. In his fascinating and thoughtful 90-minute documentary, screening tonight at 9:30 p.m. at Mann Chinese Theater 3 as part of the AFI FEST 2010 presented by Audi, Eldar follows a Palestinian family whose infant son, Mohammad Abu Mustaffa, has been diagnosed with a severe immune system deficiency and whose only chance of survival lies in the hands of an Israeli doctor. For anyone who's followed news about Israeli-Palestinian tensions, you know how risky and potentially maddening this proposition would be for anyone involved. After all, these cultures aren't exactly on peaceful terms. Eldar brings his camera into the Israeli hospital and sees the optimistic Dr. Raz Somech at work, assuring Mohammad's parents, Ra'ida and Faozi Abu Mustaffa, that their 4-month-old son will pull through. The Gaza Strip-based family is also waiting to hear about funding -- the operation is said to cost $55,000, and they need a generous benefactor. Eldar then takes to the airwaves of his own Israeli TV station to tell the public about their plight. While the premise itself is compelling -- despite cultural differences, people can work together when it comes to saving a child's life -- it's when Eldar becomes less the journalist at arm's length and an actual opinionated character in the film that things really get tense. After all, Eldar is not unfamiliar with suicide bombers and what if Baby Mohammad is encouraged in that direction -- even after he has been treated by Israeli doctors and his operation has been funded by an Israeli man whose son was killed in the army? In fact, in one nail-biter of a scene, which takes place in the antiseptic and banal hospital hallway, Mohammad's mother, Ra'ida, even tells Eldar that she would be proud of her son for giving up his life, because life doesn't mean anything to her or her culture. Not even the life of her child. The moral complexities and ironies of this mere 10-minute conversation are explosive. Was Ra'ida serious? Was she just at the end of her tether and saying things she didn't really mean? Could Eldar continue to support this family emotionally? And, consider what is later explored: Ra'ida and Faozi, who have already lost two daughters to this immune-deficiency disorder, have been labeled as traitors by their own people for accepting Israeli help. When documentaries confront these kinds of thorny situations and delve far beneath the surface, they cross the line from being merely good to great. And "Precious Life" crosses lines -- both literally and metaphorically -- to become a fascinating and truly great documentary. 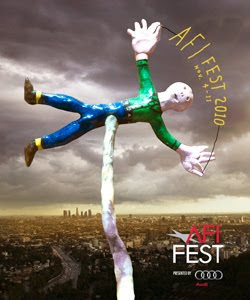 AFI FEST 2010 presented by Audi will be heating up Hollywood theaters this week, officially kicking off Nov. 4 and running through Nov. 11. The film festival, mixing indie edge ("Black Swan") with a few mainstream contenders ("Love & Other Drugs"), has chosen director David Lynch as its first guest artistic director -- a clever choice given Lynch's matriculation from the AFI Conservatory. While there aren't really "kid-friendly" films, per se, on tap this year, there are plenty of compelling choices for parents who might like a night out away from the little ones. In addition to a strong World Cinema selection, Lynch's own program mixes classic Hitchcock with his own full-length debut, "Eraserhead." Plus, it's always fun to visit a couple of the theaters that will be hosting screenings: Grauman's Chinese Theatre and the Egyptian Theatre. Mann's Chinese 6 Theatres will also be showing films. Also on the lineup are conversations with screenwriter Aaron Sorkin, actress Halle Berry, as well as a Young Hollywood roundtable with actors Jesse Eisenberg, Andrew Garfield (both from "The Social Network") and Carey Mulligan ("Never Let Me Go"). As an added bonus, AFI Fest is offering free tickets to all of the screenings. Click here for more info. "Boy": When a young Maori boy's father returns from jail, his lack of parenting know-how teaches the child to trust in himself. Directed by Taika Waititi. "The Myth of the American Sleepover": This coming-of-age film by David Robert Mitchell chronicles the last night of summer, when a group of kids move through town and experience crushes and "poolside secrets." While these are only a sampling, there are a lot more funny, sad, touching and endearing films on the roster. Click here for a complete film guide. Photos courtesy of AFI FEST 2010. 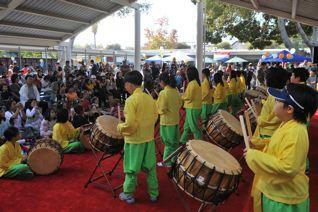 A Taiko drum performance at Third Street Elementary School's 2009 Culture Day. One of the amazing things about Los Angeles is its diversity. There are so many different cultures represented in this city, and it's great when local organizations recognize it. In this case, it's Third Street Elementary School in Hancock Park, which will be celebrating the diversity within its classrooms with International Cultural Day on Saturday, Nov. 6. The event, which also serves as a fundraiser for the L.A. Unified public school, will offer food from more than 30 countries, including Thailand, Korea, France, Mexico and Switzerland. There will also be live world music and performances from professional artists as well as Third Street students. A special appearance by Avan Jogia, who plays Beck on Nickelodeon's "Victorious," will also join the party. It's a great way to see cultural diversity up close and support a local public school in the process. 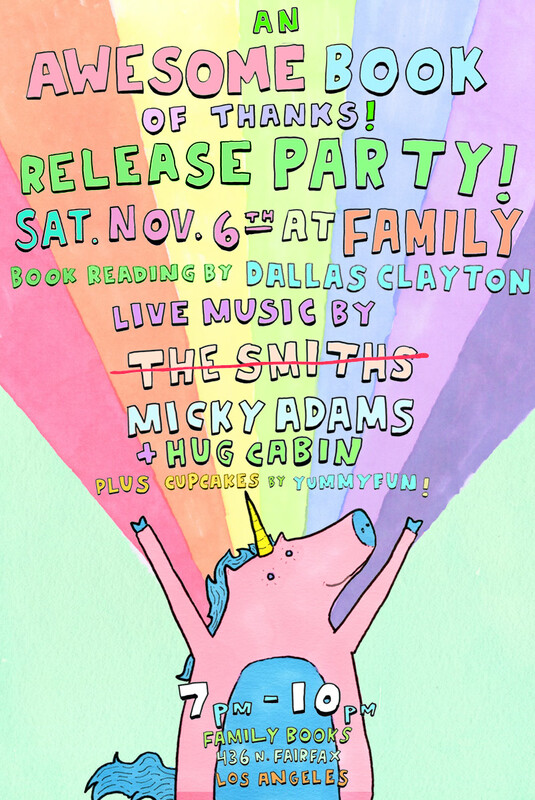 Local children's book author and dad Dallas Clayton will be celebrating the release of his latest book, "An Awesome Book of Thanks!," with a reading and party at Family bookshop on Saturday, Nov. 6 from 7 p.m.-10 p.m.
Clayton will read from his colorful sequel to "An Awesome Book!," which celebrates the power of dreaming big. 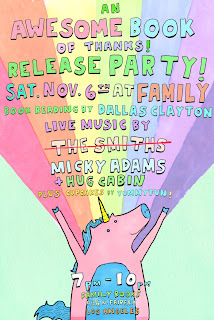 Also on tap will be music from Micky Adams and Hug Cabin as well as cupcakes from Yummyfun! Now this is something CC would go crazy for! 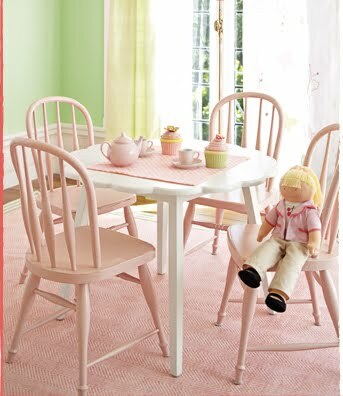 Pottery Barn Kids is hosting a Doll Tea Party on Saturday, Nov. 6 (2 p.m.-3 p.m. & 3 p.m.-4 p.m.) at participating stores. Not only can little ones dress up for the occasion, but they can also bring a favorite doll or teddy bear to accompany them on this special outing. In addition to complimentary refreshments, this tea party (recommended for children ages 4 and up) will also feature crafts and stories. But because space is limited, you need to RSVP to your local store. It was a real pumpkin-palooza this weekend at Underwood Family Farms' Fall Harvest Festival. I've heard so much about this farm in Moorpark, mainly for its fruit- and vegetable-picking, that I wanted to give CC a chance to see what life is like in the rural outskirts of Los Angeles, aka Ventura County. Not only did CC get to check out a pig race (! ), but she also got to slide down a John Deere combine slide, get lost in a corn maze, take a hayride that had us driving through rows of raspberries and orange trees, and feast on a healthy helping of pumpkin pie. Check out the above photos. It was a truly great day and a nice getaway from the L.A. grind -- but not so far that you dreaded the traffic heading home.